Enjoy a great game of minigolf on the island and face your friends and family playing in shifts. In this game you can participate up to four players and you will have to throw the ball in turns until you manage to put it in the hole. 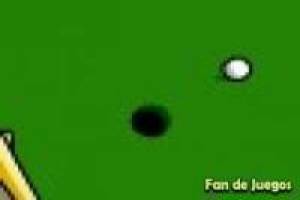 When the player lands one in the hole, it will be the turn of player two and so on to see who has made the hole in fewer strokes. You can also play solo and demonstrate your skills in minigolf. To play you will only need the PC mouse, with it we will aim and establish the power of the shot. Try to make a hole in one in all the games and make sure that you will be the winner of this mini golf on the island. 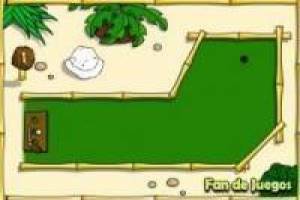 Enjoy the game Minigolf on the island, it's free, it's one of our golf games we've selected.